Xiaomi will be holding its Diwali sale from October 23 to October 25. During the sale, Xiaomi will also be hosting games wherein Mi Fans and users will be able to win POCO F1, Redmi Y2 and Mi Power Banks as well as Mi coupons. The sale will also be applicable to offline buyers who can enjoy it for a longer duration till November 7. 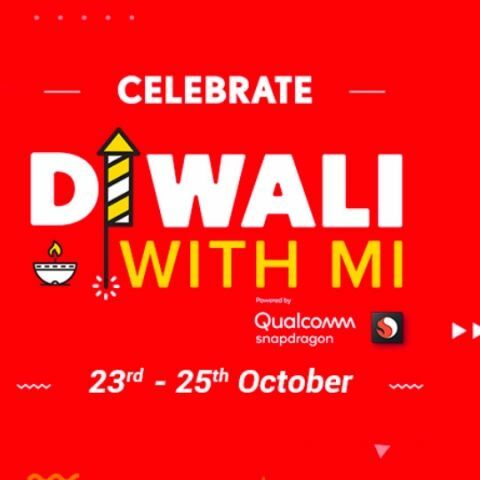 Xiaomi India has announced the ‘Diwali With Mi’ Sale which will be hosted on Mi.com, offering price drops on a number of Xiaomi products between October 23 and October 25. The Diwali With Mi sale will see smartphones like Redmi Note 5 Pro, Mi A2, Redmi Y2 receive limited period price drops, along with other devices such as Mi Power Banks, Mi LED Smart TVs, Mi Earphones, Mi Router and more. Xiaomi will also be hosting “Re 1 Flash Sales” wherein two products will be available for Re1 each day of the sale, and a “Small = Big” activity wherein customers stand a chance to buy higher priced products for price of lower priced product in bundle offers. In addition to the price drops, which we will get to in a bit, mi.com will also be hosting games which includes the “Cracker Ninja”, wherein Mi Fans and users will need to light up crackers that pop up on the screen while avoiding bombs. Those who manage to light enough crackers will stand a chance to win products such as POCO F1, Redmi Y2 and Mi Power Banks as well as Mi coupons. Users can also invite friends to play the game and help them earn more lives. Further, shoppers will also have a chance to play “More Likes, More Discounts” activity wherein they stand the chance to bring down the price of products by liking them. The more likes a product gets, the more discount it will get. Both these activities have already started. The Cracker Ninja game will go on until October 25, 11:59 PM, and the “More Likes, More Discounts” activity will be on until October 22, 11:59 PM. Coming to the offers and price drops, The Diwali With Mi Sale will see the Redmi Note 5 Pro shed Rs 2,000 off its original prices. The smartphone will be available for Rs 12,999 and Rs 14,999 for 4GB+64GB and 6GB+64GB variants, respectively. The Mi LED Smart TV 4A (43) which will be available for Rs 21,999, down from its original price of 22,999. The Redmi Y2 (4GB+64GB) will be available for Rs 10,999, down from Rs 12,999 and the Mi A2 will see a price drop of Rs 2,000, making it available at Rs 14,999. Below is a list of all the offers Xiaomi plans to make available during the sale. In addition to these offers, Xiaomi India will also provide a range of partner offers such as Rs 750 instant discount while shopping with SBI Credit Cards for a minimum purchase of Rs 7,500. PayTM will offer flat Rs 500 cashback on Redmi Note 5 Pro & POCO F1. MobiKwik will offer 20% SuperCash upto Rs 2000, while Amazon Pay will offer flat Rs 500 off on purchase of Mi LED Smart TV 4A (32) and Mi LED Smart TV 4A (43). IXIGO will also offer coupons worth INR 3500 which is applicable only on purchase of smartphones. Xiaomi India has also extended several discounts to its offline stores. The sale on Xiaomi products for offline stores will be held for longer period until November 7, 2018. These discounts will also be paired with special partner offers which include Paytm Mall cashback of Rs 500 on purchase of smartphones upto Rs 10,000 and Rs 1,000 vouchers on purchase worth over Rs 10,000 for smartphones. Offline customers will also get SBI Cashback of flat Rs 500 on minimum purchase of Rs 8,000. This also includes no cost EMI on various phones including the popular POCO F1.